The WGP represents the interests of research and teaching in production technology vis à vis politicians, the public and representatives of economy. 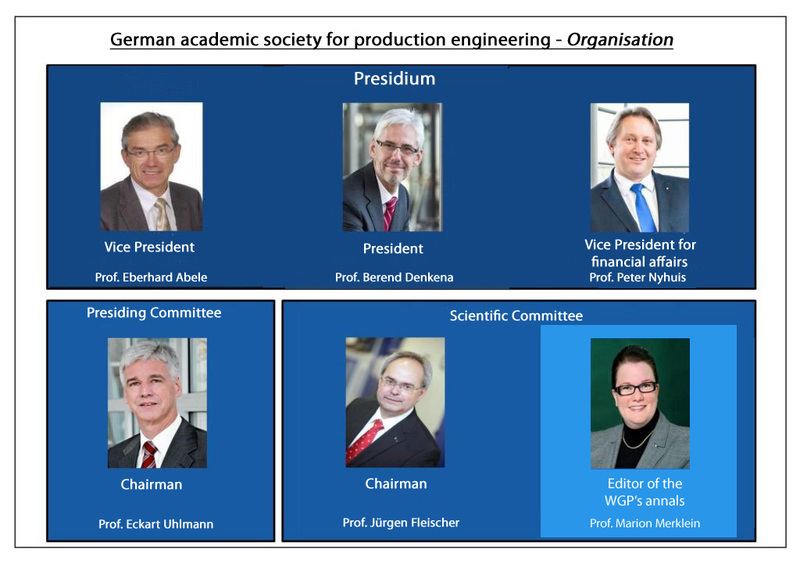 The aim is to raise the awareness of the significance of production and production science for society and Germany as a location because its role as a driving force for growth and wealth and a prospering economy is often underestimated. Therefore, the WGP also takes a stand concerning societally relevant future topics such as innovation strategies in the production area of Industry 4.0, technology for an aging society or the lack of specialists. It positions university research by advising politicians in the initiation of research projects and framework programmes and co-designing the latter. By means of its production academy, it promotes the transfer of knowledge of research results into industry. In addition, it is the aim of all WGP members to train young people to become responsible personalities for research and industry. By means of practical teaching, often complemented by the element of a learning factory, they strive to promote excellent young scientists and high potentials for companies.